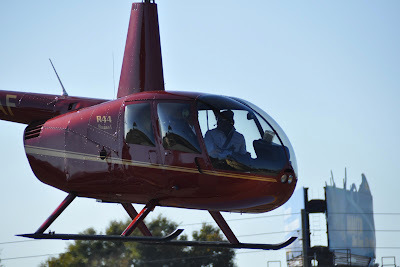 It's interesting to note that most people will never fly in a helicopter in their life and I've flown in a helicopter twice already in just over a year. But the opportunity to see a new city from above is just too alluring to turn down! I mean, how can you not want to see an entire city from a perspective much better - and much more breathtaking - than the street. Google Earth can help, but nothing compares to the real thing. It is fascinating to see Orlando's stretch of the I-4 from 1000 feet in the air. After seeing Harry Potter's World from above, we ditched our original idea to go there. This was much better than standing in line with those poor people down there! This was cool! Our tour took us over Lake Eola, downtown Orlando, right by the Executive Airport, over Universal, Sea World, and many other landmarks. 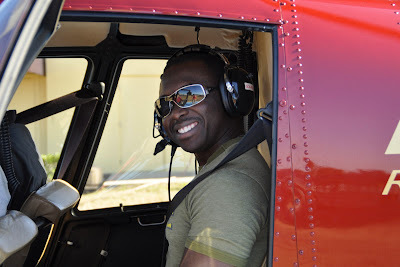 It was a windy day, so it felt a bit like a roller coaster, but a helicopter ride is always a good way to get around. I'd love to have one of my own! Try it - I'm sure you'd love to tell everyone about the experience....it's a good life!